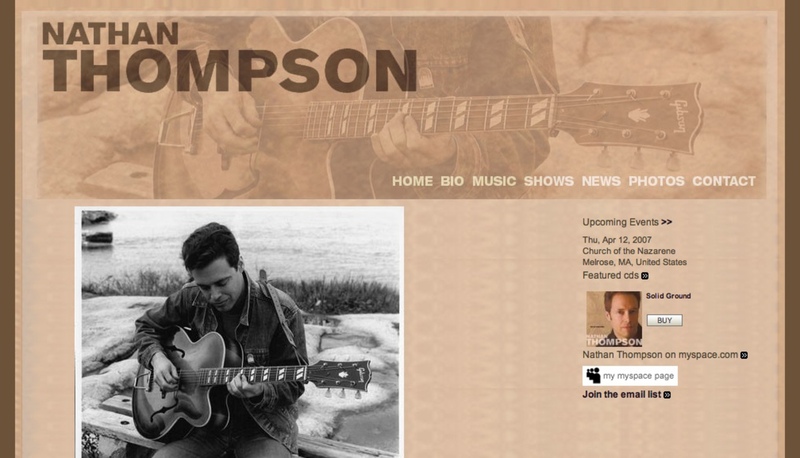 Singer/songwriter Nathan Thompson just released his debut solo album, Solid Ground, the result of more than thirteen years of musical exploration and songwriting. He wanted an elegant and easy-to-update site that he could use to get his music out there. Give him a listen!